Thanks to my friends at Rubbermaid, I've added a collection of glass food storage containers to my kitchen. I'm in the process of phasing out the plastic containers we use for a number of reasons. Namely, for healthy considerations, as I've outlined below. Besides being better for me and the environment, glass containers are just plain better looking. Case in point, my breakfast... I mean, doesn't that just make you smile? Did you know that plastic food containers leach trace amount of plastic into your food? And heating food in plastic seems to increase the amount transferred. While research disputes the healthy level of chemical "leaching" or "migration", two chemicals that are under heavy investigation are bisphenol A (BPA) and a class of chemicals called phthalates. 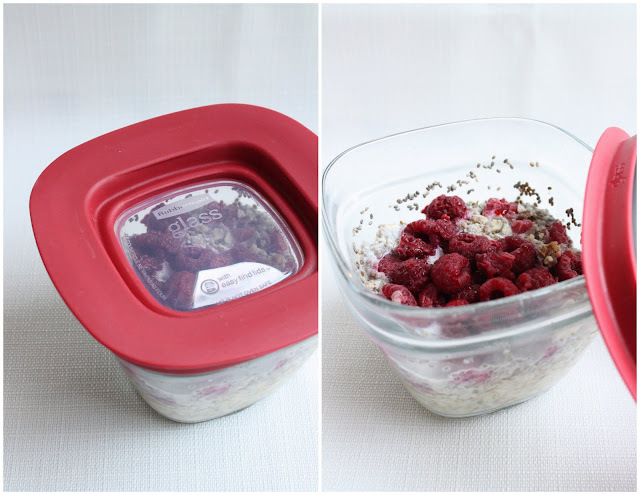 Using glass food storage containers eliminates the risk harmful chemicals getting into your food, it is better for the environment and allows you to go from freezer-to-oven in a snap. Avoid: #1 PET, #3 PVC, #6 PS, and #7 polycarbonate. Good call! I have been trying to cut out plastics as well. Will look for those at teeter. Thanks for the heads up. What about plastics that call out specifically BPA Free and/or phthalate free? All Rubbermaid plastic products say BPA Free and microwave safe. Great blog! Just talking about this earlier today; DH picked up some plastic containers in the store and I vetoed them...LOVE my Pyrex! 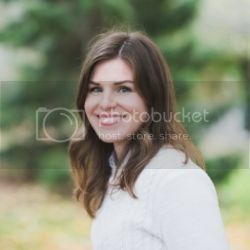 Love your blog; I'm a new follower! If you're going to use plastic, BPA free / phthalate free is the way to go... and yes all rubbermaid plastic products are. I have a few of their plastic containers too, they are all #4 plastic which as above is one of the safer choices. However, the only way to avoid plastic leaching into food, however small the amount, is by switching to glass or stainless steel. Hope this helps! Love it! I never microwave food in plastic, and I'm iffy about washing plastic containers in the dishwasher as well. These fit the bill quite nicely; Pyrex will also do the trick. I always cover with a paper towel (instead of their standard plastic lids) when microwaving.